Target Archery - shooting at a target over a set distance. 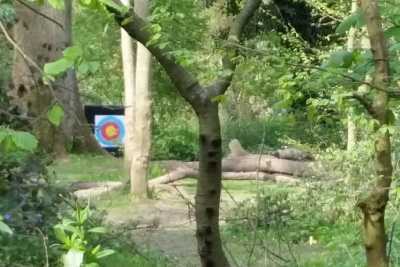 Just like the archery many have shot before. 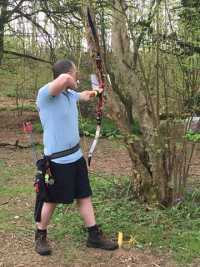 Field Archery - shooting through the woods at obscured targets from a marked peg at varying distances. More akin to hunting. Clout Archery - shooting into the air to land nearest the pin, or clout. More akin to war archery like at Agincourt. 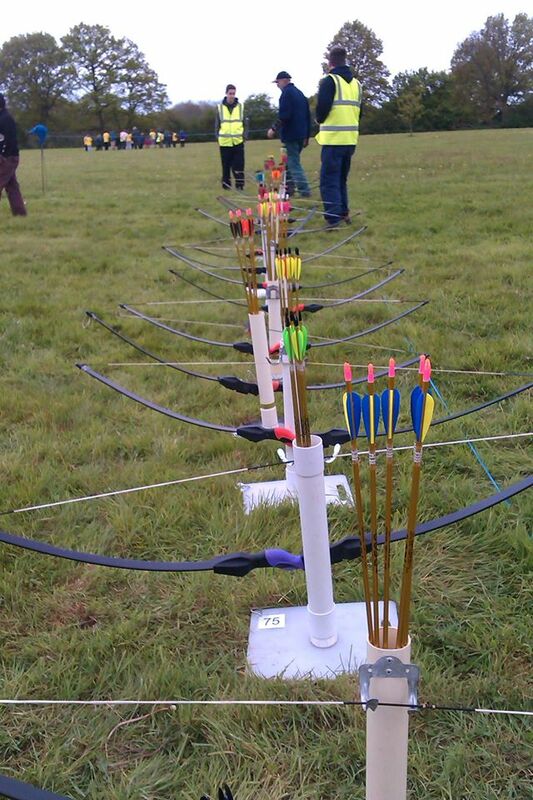 Most of the archers are beginners like ourselves although there are some experienced archers of all ages who bring their own kit and go on to claim a silver or gold medal in one or more of the forms of archery on offer. If you want to join us, email the District Archery Coordinator. For safety there are a couple of training sessions before the camp to make sure everyone knows what is expected of them and these give a great chance to get some of the basics of archery shooting sorted out before we get there. 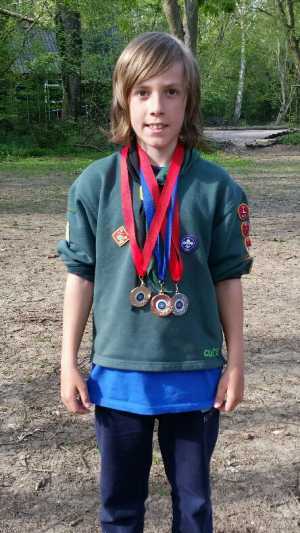 We attend this camp as part of the Cambridge District so there are cubs, scouts and leaders from lots of different groups joining in. It starts on the Friday of the second weekend in May with pitching camp; boy cubs in one tent, girl scouts in another and so on. Food is tasty, provided for us and of the lots-of-it variety and provides for all dietary restrictions. Shooting spreads over the Saturday and some of the Sunday morning, taking up about half of the time. Throughout the weekend there are activities going on to fill any time that isn't spent shooting, such as caving, tobogganning, zip wire, climbing and there was even a bouncy castle one year. 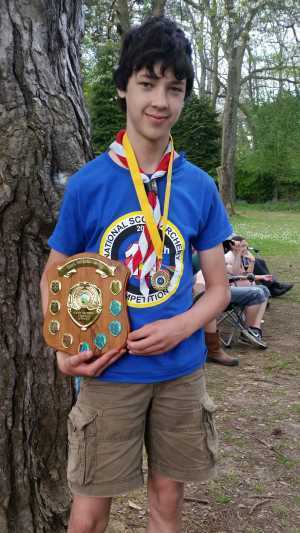 Sunday afternoon there is a medal presentation, with some taken by our beginners: in 2015 one of our cubs took nearest the clout and one of our leaders took Silver in the 40yd target archery barebow, whilst in 2016 we took nine medals, three of them being Gold, one in each of our young scouters' age groups, plus Silver overall for one of our cubs and Silver for one of our leaders with his longbow. 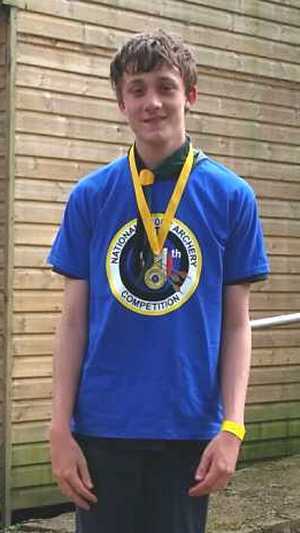 Results are available on the Hampshire Scout Archery Club website's National Finals page, and at the bottom of the headline results in each year is an Overall Results link to the detailed results of everyone who took part. 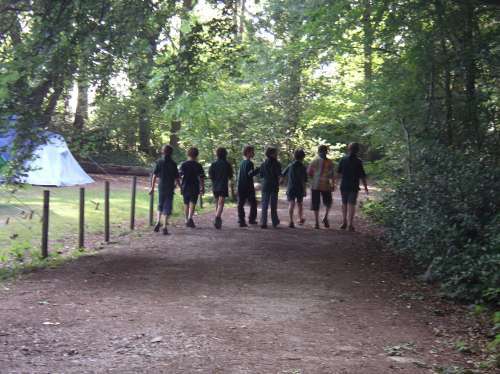 Phasels Wood is a National Scout Activity Centre campsite so it has all the facilities one could need, including lovely wooded settings and lots of activities. It is located off a layby on the A41 just north of the M25. 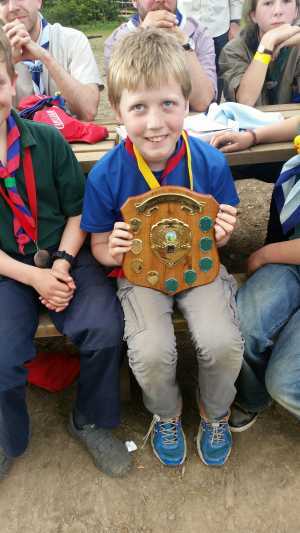 Many of our cubs and scouts climbed their climbing wall, slid through their man-made cave and zipped down their zip-wire. 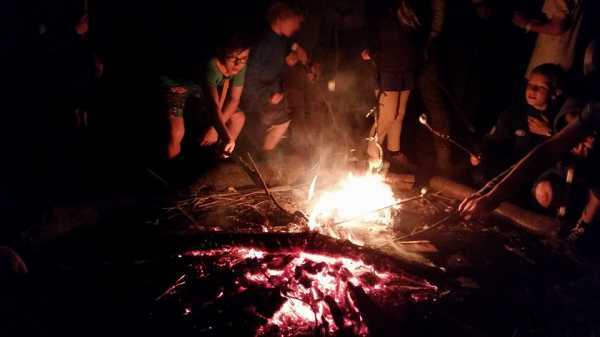 We had a camp fire one night, of course.